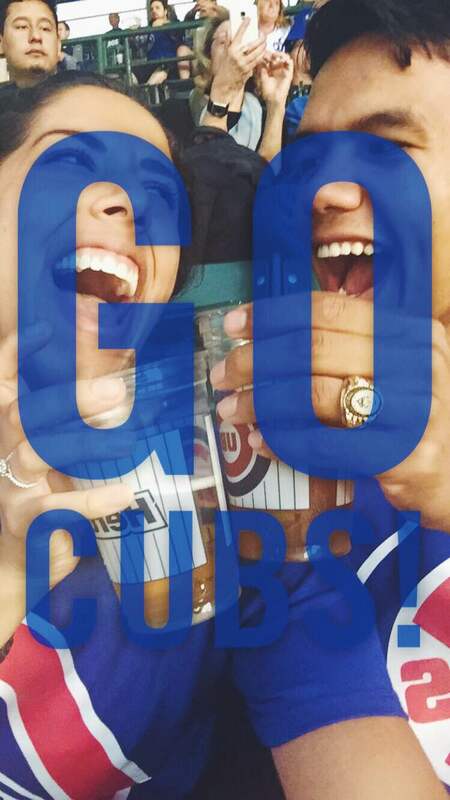 Root, Root, Root for the Cubbies! 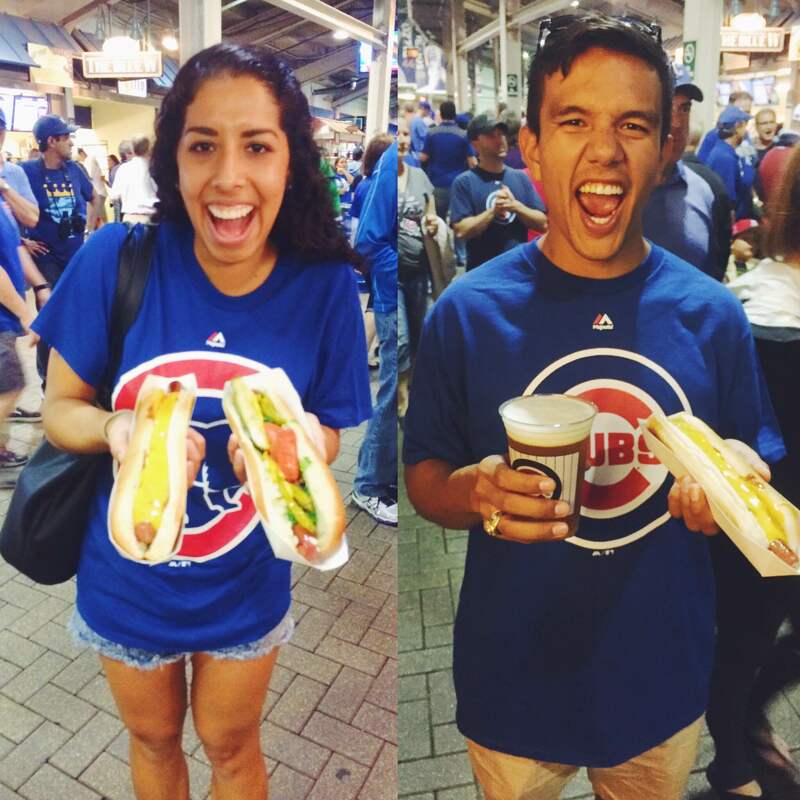 In case you don’t follow the Chicago Cubs, they have had a pretty incredible season. 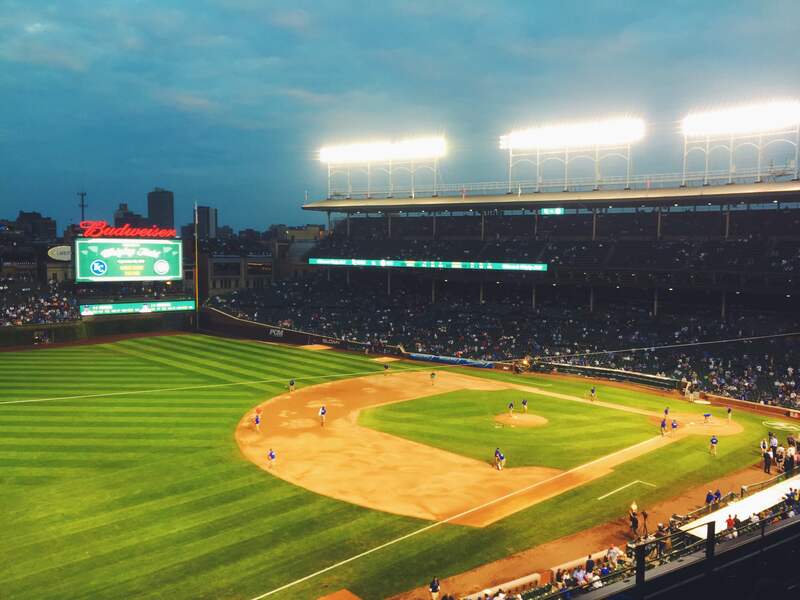 I don’t know much about Major League Baseball, but going to the games is always fun and the Cubs are doing better this year than they have in a loooong time. I’m trying to learn more about the sport since I’m here in Chi-Town now and the Cubs are a life source for some of the folks around here. Honestly, I find baseball pretty boring to watch on TV, but it’s different when you are physically at a game eating foot-long hot dogs, sipping a beer, laughing away at random things, and having rules of the game explained. Since the fan base is so strong, I’m excited about being an official local able to cheer the Cubbies on – especially now that they’ve made it to postseason! Eric hadn’t been to a game yet, so we snagged tickets to the very last regular season one this past Monday. We got lucky, it was a rescheduled game against the Kansas City Royals from May. I was worried about the dark clouds coming out of work, but it cleared up and turned out to be such a beautiful evening for a game. During lunch, I ran over and picked us up some Cubs shirts so I could surprise Eric with some official merch for us to wear. The second we walked in, we made a bee line for the hot dog line. 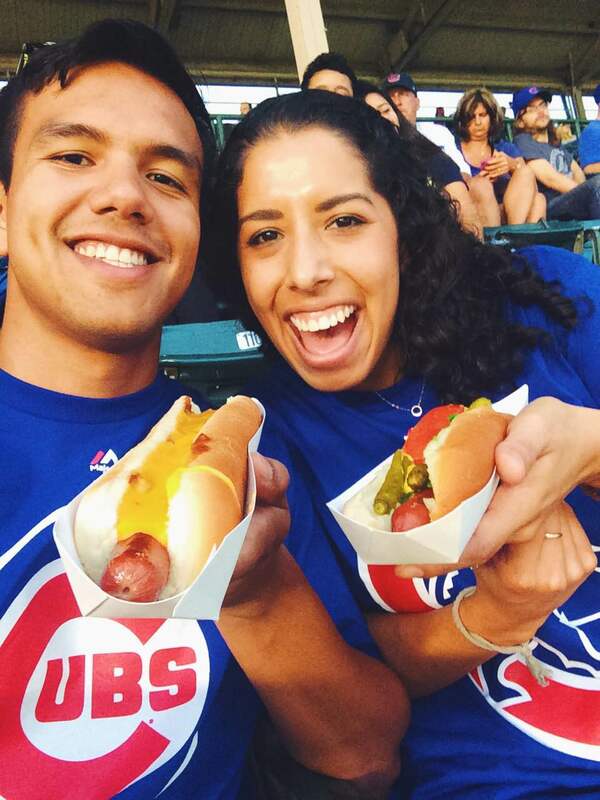 *Disclaimer: There are a lot of photos of hot dogs in this post because I think the best part of a baseball game is the munchies, am I right? * I got a Chicago style dog, Eric went for the chili and cheese edition. He even had a little dance he did in line while waiting because he was just so excited. We got our dogs, picked up a couple of beers, and sat down to watch the showdown. We had such a fun evening cheering on the team and discussing what our personal batter theme songs would be as we walked up to swing (Eric said he’d have MJ’s Beat It and I said something by Beyoncé of course). It turned out to be Fan Appreciation Night, we passed the Cubs owner on the way to our seats, and the team won with a home run in the eleventh inning! So, all and all, I am happy to report Eric had a fantastic first Cubbies experience and it was the perfect date night. Happy Weekend, friends! On my agenda – shopping for some more sweaters and another pair of jeans because the cold is coming.